An online shopping portal is just the concept of combining Internet, dynamic websites, the payment gateway and the market. Online shopping is the process of purchasing goods and services from merchants who sell through the Internet. 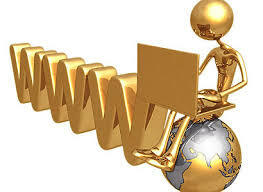 Since the advent of the World Wide Web, traders tried to sell his products to people who surf the Internet. Customers can visit the web store from the comfort of home and shop as if they were sitting at the computer. Consumers purchase a variety of items in online stores. In fact, people can buy almost all companies that offer their products online. Books, clothes, appliances, toys, hardware, software are some of the hundreds of products that consumers can buy an online store. 24 hours and 7 days. To develop an easy to use web interface where users can search products, a full description of products and product orders. AJAX based search engine that provides an easy and convenient way to search for products specific to their needs. The search engine is to establish a list of products based on search term and the user can filter the list by various parameters. AJAX based interactive interface to load contents fast without refreshing pages. Drag and Drop facility to add or remove items to shopping cart easily. A user can view the full specifications of the product with different images and also view reviews on the product. They can also write their own reviews. There are many commercial sites that offer many online shopping products tailored to the shopping benefits a large number of customers. These online markets have thousands of products listed in different categories. The fundamental problems with existing systems is the non-interactive environment they provide to users. The use of traditional user interfaces are continuous message back to server, which sends to the server, you can call, receive an answer, and then update the entire web form to display the result. This scenario brings new compromised causing a delay in publication of results. A search engine that displays results without allowing users to also filter the results according to various parameters. The reason for the application Web Shopping online is to give the user the ability to play with the search tool and to create different search criteria to perform combinatorial exhaustive search. Make AJAX application gets rid of unnecessary delays the user to perform an exhaustive search. This application users can easily feel the difference between authorized Ajax user interfaces vs. traditional the interfaces. Provide an interactive interface through which users can interact with the different areas easy to apply. A search engine that provides an easy and convenient way to search for products specific to their needs. The search engine is to establish a list of products based on search term and the user can filter the list by various parameters. Provide drag and drop that allows users to add products or remove products from cart pulling out of the products or the basket. Adequate searching mechanisms for easy and quick access to particular products and services. Regular updates to the register users of the website about new arrivals. Secure mechanism for checking out from the shop ( Credit card verification mechanism ). Give special discount to premier customers. Strategic data and graphs for administrators and shop owners about the items that are popular in each category. The current system can be expanded to allow users to create accounts and savings in product wish list. Users can subscribe to alerts prices, allowing them to receive messages when prices fall below a certain level. The current system is limited to process your order. It can be easily extended to use the verification process. Users can have multiple shipping and billing registered. During Initially, you can use the drag and drop to select shipping and billing of information. Secure access of confidential data ( user’s details ). SSL can be used. 24 hours and 7 days availability. Flexible service based architecture will be highly desirable for future extension. Advertisement space where it will effectively catch the customer’s attention and as a source of revenue. E-commerce is where consumers can purchase goods and services on the web with a credit card. The basic process of how it works is shown below. 1) A consumer visits your website and uses your online store to make a purchase. The transaction is conducted over a secure connection (SSL) to your web hosting server. 1) There are different levels of ecommerce integration. You can make it very simple by letting a 3rd party such as Paypal handle all your ecommerce processing, or you can integrate everything into your own website. If your site is going to accept credit cards then you need to have SSL (Secure Socket Layer) capability. This encrypts any information sent between the consumers PC and the web server. When a SSL connection is in place you see the lock icon on the browser on the bottom right hand side. 2) You can buy your own SSL certificate (around $100 a year), you will need a hosting account with a Unique IP. This looks far more professional than using a system like PayPal. If you intend to do everything from your site and not use a 3rd party like paypal, then you will also need a merchant account and an account with a processor. There are five major parts of the e-commerce, merchant account, the trading system, the payment gateway (for real-time processing), hosting services and system security. Before you even start thinking about all the orders you make, you have to make very important decisions in the front. You must decide how you will process orders and how you will receive payments. There are a number of different ways. Any type of electronic commerce requires a real merchant account and that is really the first step towards e-commerce, unless of course you have chosen to go through third parties such as RegSoft, PayPal or ClickBank and are ready to resign a considerable portion of their profits. These companies may have up to 15% of their sales you process your orders, PayPal is one of the lowest! To use merchant account your cost is only 2.25% of what you sell and 29 cents per transaction, with a monthly fee of $ 10.00 Statement / Client. You can also get an account with Authorize.net gateway at the same time for an additional $ 20.00 per month. A merchant account comes with a merchant identification number. That is all that is needed. In order to process transactions manually, also require a POS (Point Of Sale) terminal (the box you use your credit card at retail), a virtual terminal software that runs on PC and will mark the bank via a modem or a terminal credit. Even if you decide to go with real-time processing of credit card, you still will need some type of terminal to process orders that come into play, by fax and / or e-mail, also for all refunds or credits. Please note: Authorize.net and most other bridge systems usually offer a web-based terminal for use within your account. If you sell only one or two products on your site, you will not have much use for a basket. A site with a wide range of products to use shopping cart system because it is the easiest way for your customers to shop. The easier it is to act, the more they want, which is exactly the psychology supermarkets use, and exactly how consumers are similar whether in a supermarket or scanning through your website. So shopping carts are good. But how will they work with your merchant account and payment system of importance (or gateway)? If your site has orders manually through the sale of the customer’s credit card the PC, Web, or POS terminal, so there is no need to have a compatibility with your shop-cart and merchant account. These two are completely independent of each other, everyone does their part, but with your help. If, however, you want all incoming orders are automatically processed for you as a customer clicks the submit button, you will need “real-time processing with a gateway account. Thus, the everything have to do is fill the request. There are many options for choosing the trading system, but some of the most important is the functionality (that’s what you need to do so), ease of use and compatibility. Commercial systems than anything else now days you can buy or rent, and in both ways have their advantages and disadvantages. However, some ecommerce tools recommended to buy your own to maintain control, and users of economic information and ordering, and databases – Do not trust this third party Shopping Cart Shop for all customers and product information throughout the database to reside on their servers, not yours! This certificate guarantees the security of credit card information to the user navigates to your site, then the gateway. Again you have two choices, 1 – you can use the SSL certificate your hosting service (if they provide this service), but the address will not be secure, but more like https://www.yourdomain.com https://www.yourhost.com/your-name/account We suggest you purchase a site license to maintain, with SSL in your field. Note addition of “s” at the end of https in the URL above – it’s usually a way to make sure it is insured. The other way is an indication of a lock at the bottom of your browser, which will look like this. A site license normally range from USD $ 99.00 to $ 800.00 depending on the supplier and safety and must be renewed each year. Certificates can be purchased from companies such as GeoTrust, VeriSign and a handful of others. Please note, a Secure Socket Layer (SSL) is not an absolute requirement, since everything will work without it, no matter how many people will not buy Web sites that do not have SSL. You can also run the risk of data-jacking, if you do not have a site certificate installed, the data-jacking is when a hacker makes data entry while it is transferred. When the user sends the command is transferred from the machine (or more accurately, their browser) to the shop-cart and is protected by Secure Socket Layer (SSL), the server hands and out of data to the payment gateway. Gateways are services like Authorize.net™, CyberCash™, Ibill™ and many others, is the real link between your website and banking networks. These services usually offer two Gateway and processor. The gateway is simply the door to the ATM banking network and the processor is what actually handles the financial information and be able to communicate with your shop-Cart. The processor receives data from the shopping cart and brings it into the ATM network, where this is now like a credit card transaction. Once the ATM network, connects to credit card customers, then provide the information and wait for a yes or no to whether the transaction is approved or rejected. After that, the whole process begins again in reverse order to give feedback on transfer status. If the request is accepted, then the amount will be charged on behalf of the client and the gateway sends an authorization code. Bank customers will pay the rest of the transaction at a later time, when they do batch settlement; this is usually the end of each business day. But for now, you have permission and you have your last! When the bank runs the settlements, the amount of the sale will be deposited into your bank account, less the costs that may apply to the sale. For this reason, the funds may not appear in your account for 24 to 48 hours after the sale was completed in reality. All that is required of you is to fill the request. Consumer places an order with the merchant through any number of sales channels: Web Site, Call Center, Retail, Wireless or Broadband. Authorize.Net detects an order has been placed, securely encrypts and forwards the Authorization Request to the Consumer’s Credit Card Issuer to verify the consumer’s credit card account and funds availability. Upon approval, the Merchant fulfills the consumer’s order. The Merchant Account Provider deposits transaction funds into the Merchant’s Checking Account. Since the purpose of the application is easy to use and offer an interactive system user interface, extensive research has been done to obtain information on the needs and the behavior of different users. It works with the application is easy and convenient to use for the end user. The results are based on several factors, such as the type of product, manufacturer, price, platform support, etc. Users should be able to see the full product description and different images at different zoom levels. Users should be able to read the customer reviews for the product and the accompanying notes. They should be able to write their own ratings. They should be able to print the specifications of the product, or by e-mail product to a friend, etc. To increase the ease of use, the user should be able to add a product to the Cart by dragging a product and put it in the basket. A user must able to modify the contents of a basket. They must be able to update quantities products are added to your cart and remove products from cart. The application may be submitted by the interactive pop-up notification when a product was removed from the basket or your wallet. The user can be notified if the cursor enters a drop zone and the objects that can be abandoned. Other than that, I did a lot of research on a variety of other methods of construction of this The application was able to incorporate some very application. Tools and controls used in the application is recommended Open source such as PHP, WordPress, jQuery & AJAX controls Toolkit controls to improve navigation and usability and interactivity. Which is about BDT 25267.20. This is a basic e-commerce cost planning. The application does not require special technical guidelines and all views available in the application are explicit. Users are guided by the prompts and by default for all actions taken. There are many worldwide and country specific rules, regulations and laws that govern how websites and in particular ecommerce enabled website should be presented, work and what content should feature on them. This is a quick guide to the main issues which effect ecommerce businesses using shopping cart software. This is in no way a complete guide and you should always seek proper legal advice from professionals if you are unsure about any legal issues with your website or online shop. We have covered the basics of each of these acts and directives below along with contact information should you wish to learn more about them. (a) You This information includes names, addresses, telephone numbers and email addresses. (b) You must state what you do and intend to do with your subject’s data and not deviate from that statement. (c) The Act is applies to any size of business. (f) You must only record data which is pertinent to your prime business needs. The Consumer Protection (Distance Selling) Regulations 2000 apply to many ecommerce websites. However, they are not applicable to ‘business-to-business’ transactions. (b) You must be clear about postage and packing costs and whether VAT or any other tax is included in the prices shown on your website. (c) You must provide a written confirmation of order following purchase, for example a confirmation email. (d) You must allow a “cooling off” period where by the customer can change their mind and cancel or return the order within 7 working days for most goods. Certain exclusions do apply with items such as perishable and digital goods. (a) You must display the name of your business, the company registration number (or proprietor’s name), geographical address (not a PO Box number), contact information e.g., telephone number and email address, VAT registration number (if registered). Systems are created to solve problems. One can think of the systems approach as an organized way of dealing with a problem. In this dynamic world, the subject System Analysis and Design (SAD), mainly deals with the software development activities. The risk in the projects can be defined as an adverse event, which has a negative impact in the project, both in the development period and during the time implementations. For the success of the proposed project, we need decisive and discover some of the risks at the beginning of our project and to take preventive for its stability. In the development time or even in the time of implementation the computer system can be crushed or out of work due to poor system configuration, and this causes the whole system unstable and make loose of data. So that it has to be prevented and considered as a major risk before and while the project work. Failure of electric power and voltage up/down was considered as another serious risk for this proposed project. As because of this type of interrupted electric power can damage our storage device and as well as might be a cause of loosing of our valuable works and data. A computer virus is a bug that affects your computer in many ways, it can come from anything, mostly from the internet or emails, it can copy itself and manipulate a computer’s files. In computer terms, hacking can be used in a mild way to describe simple looking for ways to see things – like hidden code on a page, or it can be used for strong meaning like a series of specific actions done to allow someone to access a password protected situation. Information is the vital part of any system. Any loss of information may have serious implication. It is essential that information stored in the system is accurate, reliable and timely. We have system back up option which will automatically back up full system in certain time. Transaction method for payment is a vital point in a sales system. Most of customer fell insecure about online transaction. Besides this, such a developing country like Bangladesh (our country) it is quite difficult for a middle class person to hold and maintain Master card or Visa. That’s why we deployed a new kind of transaction system in this site. We just provide typical postal service or courier service .If anyone wants to buy product he or she will get it online even if he didn’t have Master card. He simply just pays that postal service from any part of the country, get a transaction order number and order for the product. The courier service is then mail to our mail address to ensure that payment was proceeding. And then transactions will begin. We analyze the risks above and listed all the risks on a basis of their priority. In our proposed project work we have taken the unstable electricity and system crushed risks at the first priority risk, because these are most common risk having a big impact to make the project uncertain to submit on time. Some of the risk that we tried to avoid to be occurred during the project work, and some of the risk that we tried to minimize to get its impact on our project work and then the rest of those were dealing with the contingency strategy. All the risk should be monitored and assessed regularly according its probability and seriousness. This type of monitoring make sure the project stability and smoothness for its whole life cycle. Some Strategies we will have followed to prevent the risks of our online sales management project. Software faults are most often caused by design faults. Design faults occur when a designer or a programmer either misunderstands a specification or simply makes a mistake. Software faults are common for the simple reason that the complexity in modern systems is often pushed into the software part of the system. It is estimated that 60-90% of current computer errors are from software faults. Software faults may also occur from hardware; these faults are usually transitory in nature. The system has the robustness to deal with the invalid order from the users. The system is reliable enough to carry out all business tasks without any bugs. The system has ability to meet any security risks for business. The system has been built as a user friendly both for end users and administrative staff. The system performs all tasks efficiently by using the available resources. The system was built keeping flexibility in mind so that new features can be added into it according to future business requirements. The system is highly modifiable. Text on pages and the messages displayed of each page can be easily changed from admin control panel. Existing system has designated employee. Each employee has his/her own designated duties to perform. More or less every employee on-day procedure is performing manually which has an adverse effect on time. However staffs whose duties are going to be changed or affected by the system domain are listed here along with other staff. Two accounts executive responsible for payroll and other accounts function. One receptionist is responsible for giving any information. Two people are responsible for marketing for the company. Sales staff is responsible for selling. Supporting staff have been remaining with driver, cleaner, security guard. The system can run at any platform supporting PHP and MYSQL and have no extra hardware and software requirements. The system is very simple so no special training is required for the staff. All these technologies are open source so there is no extra cost attached with them for the company to implement their business plan. These technologies are easy to deploy, so the overall development process was easy and was carried out within a project time frame. The technologies are reliable and secure and can work with any volumes of business so the risk of application crashes is very low. After a careful analysis of requirements and functionality of the Web request, I had two major diagrams at the end of the analysis phase. They are schematic diagram (ER Diagram) and data stream (DFD) that was the basis for discovering the units and the relationships between them, the flow of information. According to the chosen method, the purpose of the design part is to create a coherent representation of the system design. Design criteria for the system will be pointed out, the flow of the entire system, where after the system will be structured into components. The design of the components is meant for specifying a flexible and understandable structure that will ease the implementation. The classes for the components will be specified and there will be created a diagram for the model and function component, with all classes including their attributes and operations. To make data persistent in our system, information will be saved in a database. But before that we draw a dfd to point out the flow of the system. Based on the model component presented later, an entity-relationship diagram will be constructed. This ER-diagram will then be basis for databases structure. a) Design a web application contains the design modules to the list products, product research that shows the full specification of the product, planning and shopping cart that is easy to use. b) Development of an interactive program that allows users to filter products based on different parameters. c) Develop a program that has features like drag and drop, etc. d) Application of design that reduces the transfer of data between the client and the server. E-commerce implementation and integration is the final part of a three step process. First is the development of a concept or idea. The second is the plan or Strategy for our e-commerce website. And finally it is the development and implementation of the system. We used PHP & MySQL for back-end design and HTML, CSS, CSS3, jQuery, jQuery UI, AJAX for front-end design. We used jQuery & AJAX based interactive layout to provide a way to use shopping cart dynamically without page refresh. We used two laptops with windows 7 and local server installed to test output of server side scripts such as PHP & MySQL modules. The hardware configuration is: Processor: core i5, Ram: 4GB, HDD: 500GB, with high speed internet connection. We used a room with decorated by tables and chairs and we are two people in our tem to implement the system. We completed the system within two months. This is the front-end of our system. Where customer can browse & navigate throughout the site. Figure: The figure of Product list. This is a snapshot of product lists. Here you can short products, filter products. You can browse through the products and add to cart for purchase. You can compare products and find out best one to buy. All the added products of a user is temporarily stores to shopping cart. After adding the products to cart, you can proceed to checkout options. In this step, user can register for an free account to proceed to checkout steps. This is the final steps of a confirmation of order complete. This application does not have features by which user can set price ranges for products and receive alerts once the price reaches the particular range. There is no Drag & Drop feature in our shopping cart. The following things can be done in future. The users could subscribe for price alerts which would enable them to receive messages when price for products fall below a particular level. Drag & Drop feature to add or delete products can be implemented in future.